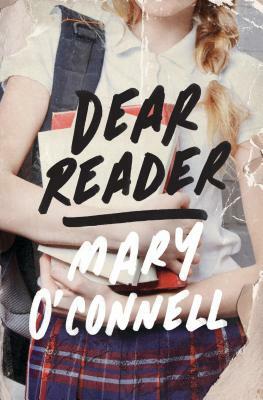 Gilmore Girls meets Wuthering Heights in Mary O'Connell's Dear Reader, a whip-smart, poignant, modern-day take on Emily Brontë’s classic novel. For seventeen-year-old Flannery Fields, the only respite from the plaid-skirted mean girls at Sacred Heart High School is her beloved teacher Miss Sweeney’s AP English class. But when Miss Sweeney doesn't show up to teach Flannery's favorite book, Wuthering Heights, leaving behind her purse, Flannery knows something is wrong. So Flannery does something very unFlannery-like: she skips school and sets out for Manhattan, with the book as her guide. But as soon as she arrives, she meets a boy named Heath. Heath is British, on a gap year, incredibly smart—yet he's never heard of Albert Einstein or Anne Frank. In fact, Flannery can't help thinking that he seems to have stepped from the pages of Brontë's novel. Could it be that Flannery is spending this topsy-turvy day with her ultimate fictional romantic hero, Heathcliff, reborn in the twenty-first century? MARY O'CONNELL is a graduate of the Iowa Writer's Workshop and the author of the short story collection, Living With Saints, and the YA novel, The Sharp Time. Her short fiction and essays have appeared in several literary magazines, and she is the recipient of a James Michener Fellowship and a Chicago Tribune Nelson Algren Award. She lives with her husband and her three children in Lawrence, Kansas.